The Latest World Agriculture Supply and Demand report predicts the second-largest corn crop for the United States this year and a record soybean crop. Corn production is forecast at 14.82 billion bushels, up 241 million from last month on an increased yield forecast. The outlook predicts larger production, increased domestic use, greater exports, and higher ending stocks. 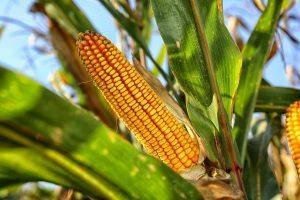 The season-average corn price received by producers is projected ten cents lower with a midpoint of $3.50 per bushel. Meanwhile, U.S. Soybean production is projected at a record 4.6 billion bushels, up 107 million on a record yield forecast of 52.8 bushels per acre. The season-average soybean price is forecast at $7.35 to $9.85 per bushel, down $0.30 at the midpoint. Finally, the wheat supply and demand estimates are unchanged from last month, and the season average farm price range is unchanged at the midpoint of $5.10 per bushel and the range is narrowed $0.20 per bushel to $4.70 to $5.50.